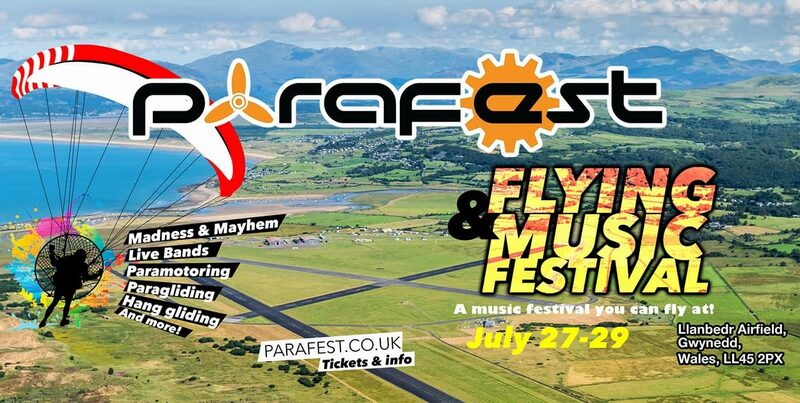 Parafest, the UK’s family-friendly flying-and-music festival, is back in North Wales from 27-29 July 2018. Mixing live music and family entertainment with paragliding, hang gliding and paramotoring, Parafest takes place at Llanbedr airfield on the beautiful Welsh coast, at the edge of Snowdonia National Park. The event will host the UK’s only manufacturers’ trade show as well winch and aerotowing for suitably qualified pilots. There are hill-launch sites just a short drive away, and local pilots will be on hand to brief visitors. Powered pilots have a dedicated area of the airfield to use for the duration of the event, from which they can explore the miles of unspoilt sandy beaches, the picture-postcard coastal towns and the mountains and valleys of Snowdonia. A purpose-built stage in the festival arena will host professional live bands who will play until midnight on the Friday and Saturday nights. Party-lovers can then head over to the Asbo Disco, set away from the camping area, where DJs will play on into the wee small hours. This Argentinean festival celebrates all things free-flight. 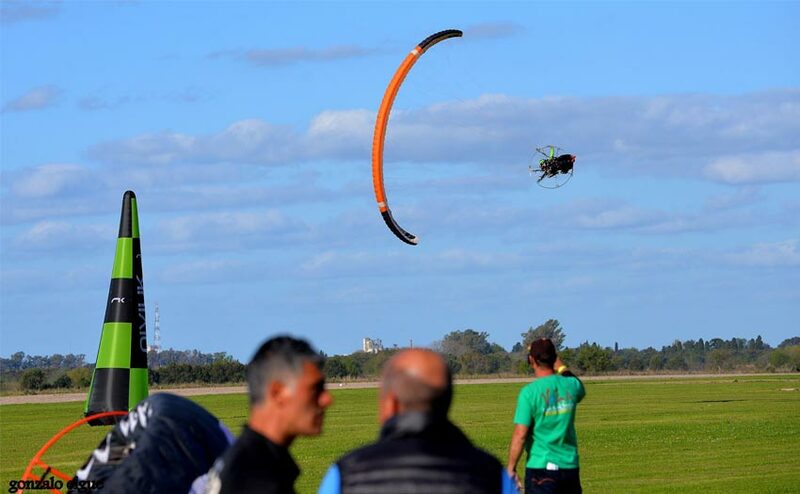 This year it takes place from 8-9 September, at San Pedro airport northeast of Buenos Aires. 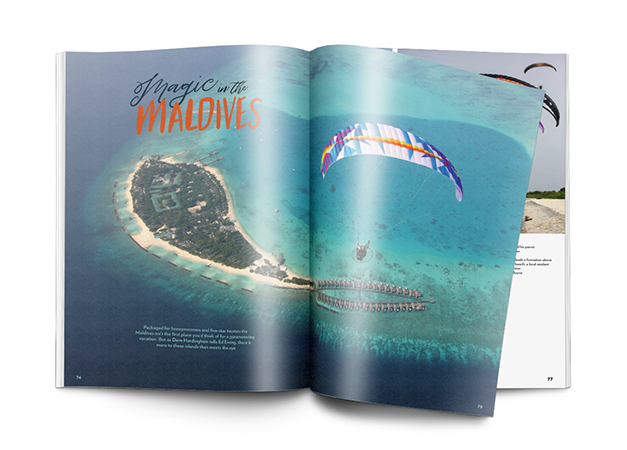 The festival’s goal is to promote the sport among non-flyers, and there are lots of airshows including PPG acro, skydiving, paramotoring, paragliding and hang gliding, free-flight biplanes and hot air balloons. 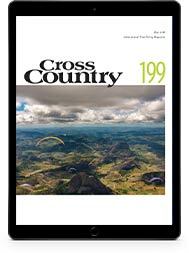 The site is a flatland location so pilots should be tow qualified to fly. The festival was born in 2016 and the first edition saw 14,000 visitors. 160 pilots took to the skies, and 180kg of food were collected to be donated locally. In 2017 the number of visitors rose to 20,000 people, with twice as many pilots and twice the weight of food donations collected. More on the event’s Facebook page. 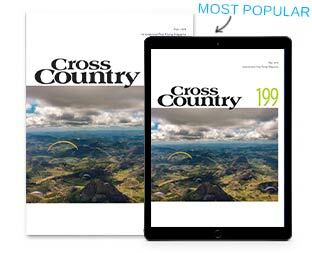 The people of Garabito in Costa Rica say the location, geography and beauty of their home is a good spot for air sports and should be better known to pilots. 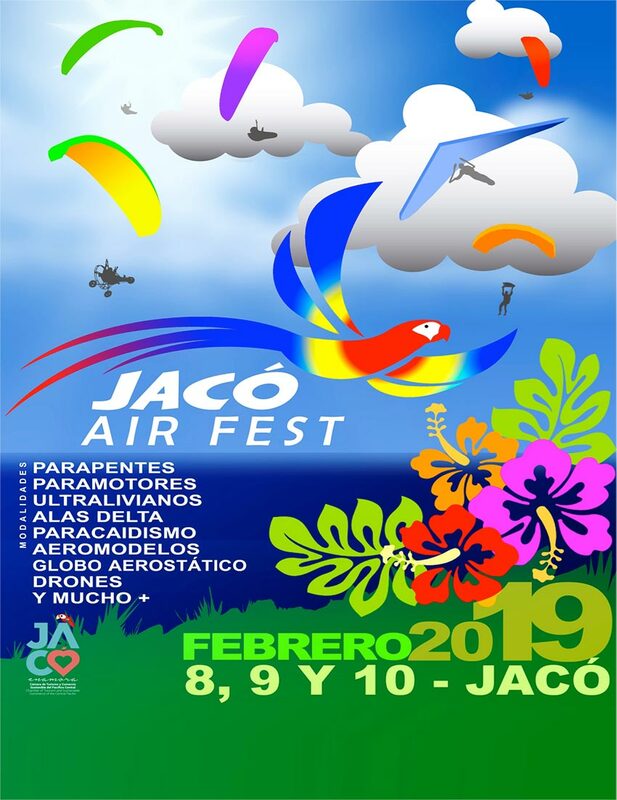 They are holding a festival in February 2019 for pilots to see for themselves. 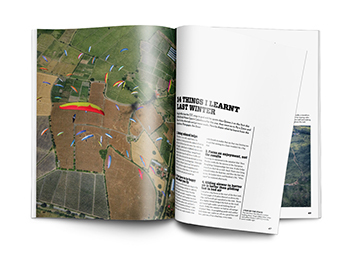 Over three days in February, the skies will filled with paragliders, hang gliders, ultralights, skydivers, aeromodels, hot air balloons and drones. In the festival arena below there will be boomerangs, frisbees, kites, a climbing wall and food stands. 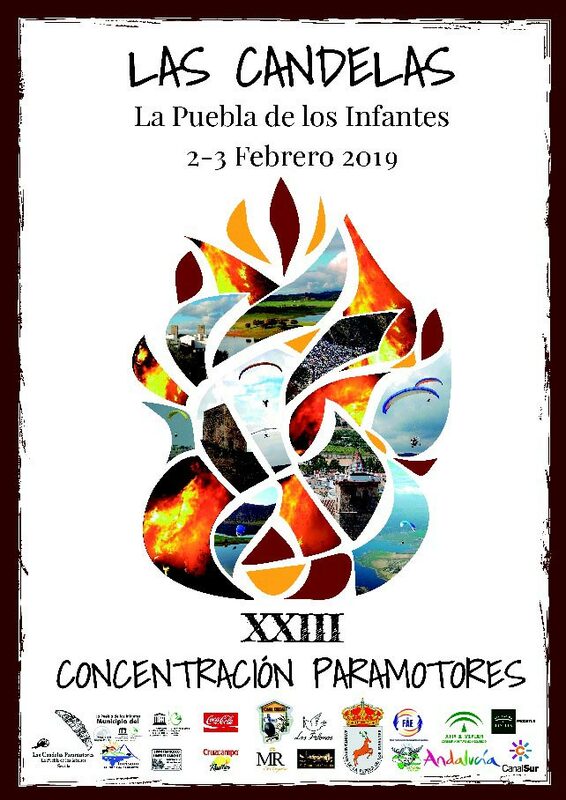 A paragliding accuracy competition and acro shows are booked in too, with Raul Rodriguez and Horacio Llorens in attendance. The festival will be held in a manner that respects the environment, with activities to teach children the importance of looking after it. Sound good? 8, 9 and 10 February 2018 are the dates to be there. 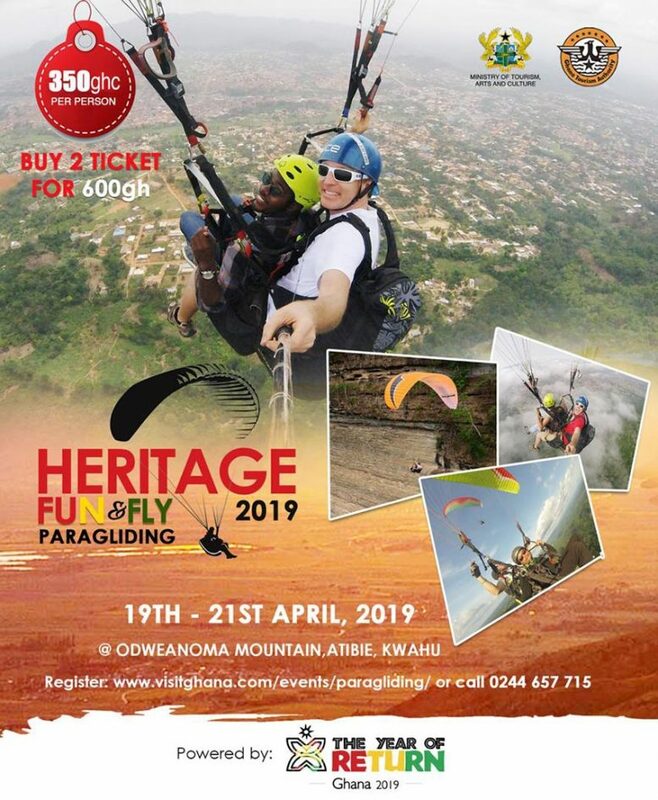 The 2019 Ghana Paragliding Festival is based at the Odweanoma Mountain, Atibie Kwahu from April 19-21, 2019. Professional tandem pilots fly hundreds of participants over the long weekend. 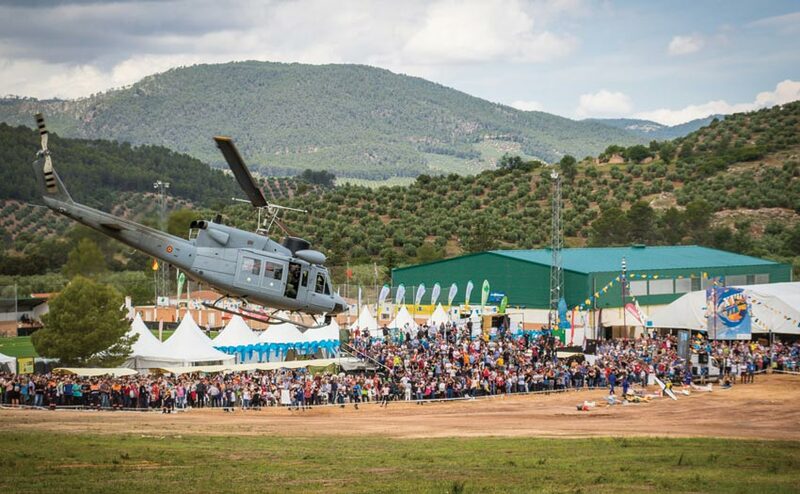 A festival celebrating free flying in all its forms, the 2019 edition of the Ölüdeniz Air Games will be the 20th, and will take place from 15-20 October 2019.